We welcome both experienced and new quilters to a relaxed atmosphere where members share ideas, skills, and friendship. Current activities include a Block of the Month learning opportunity where members make enough blocks for a quilt. An Unfinished Objects Club is also underway where members share methods and inspiration to work on projects. We have twelve sew-in days a year where we work on either individual or group quilts. Our very talented members often share techniques with informal demos and classes. We create quilts for Pre-K at Wildwood Elementary and make quilts for disabled veterans. 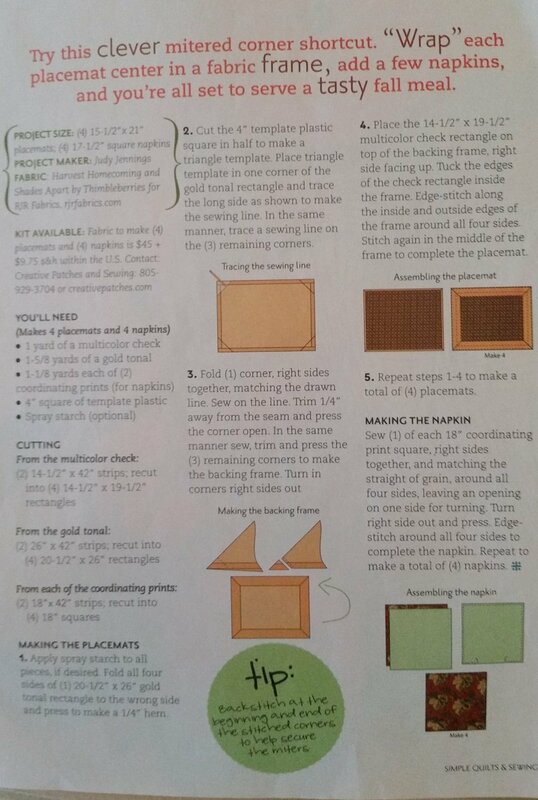 05/14 -- Mitred Placemats-Suzanne K.